I recently brewed a batch of Hefewezien to which I added 5 lbs of apricots during secondary. I made a "must" as you would in wine making by mashing my apricots and adding a little (ro) water and then crushing a couple campden tablets up and mixing those in. 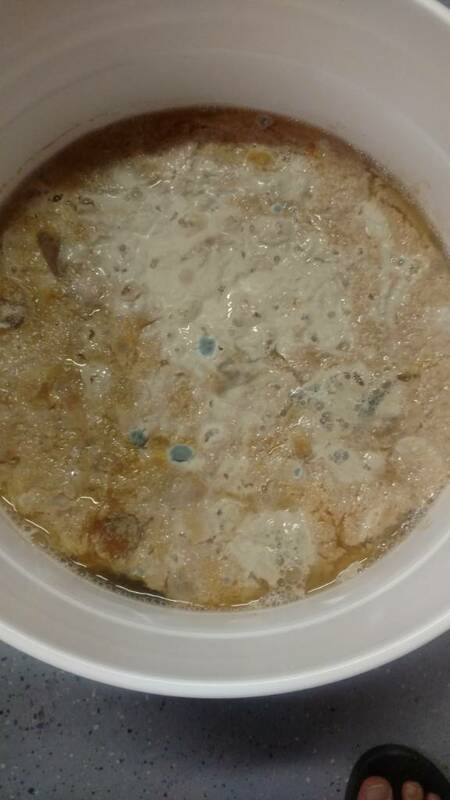 I was very careful about sanitation but from what I can find, it seems as though this odor is caused by a bacterial infection (?). If this is the case, how do you guys make your fruit beers safely? edit: It should also be noted that I did open fermentation, so perhaps that is my problem. Don't get hung up on thinking the fruit is the problem to the point where you might overlook other possible causes. FWIW, I've put unwashed, unsanitized mushrooms into secondary many times without problems. So, while you shouldn't rule out the fruit, neither should you be certain it's the cause. When I think of solvent odor, I think of hot fermentation byproduct. How warm did your fermenter get during this phase? I like to taste the product as it moves thru the process (after mash, after boil, after ferment visual completion, just before I package, etc) ...so if something does go awry I can point to a culprit a little bit easier. In your case I’d taste the hydrometer sample before adding the fruit. If it tasted (smelled) good, I’d have a possible culprit. The only reason I've gone straight to that line of thinking is because the fruit is the only variable I've changed with this recipe which I've brewed several times before. Correct, the beer itself. Thermo well with a temp controller. So I just dumped it. But this is what it looked like.... Definitely some infection of sorts I'd say. 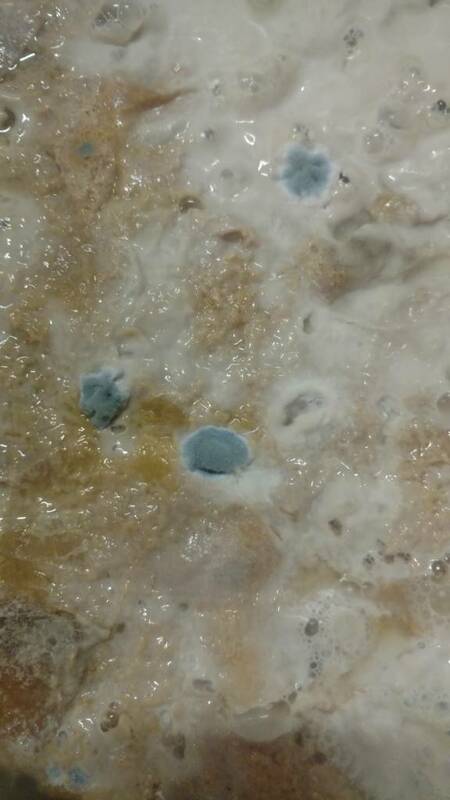 Looks like mold....gotta watch those things. Right, well you can't tell when you put it in. For this one, rack from under the pellicle and see what you have. Probably not salvageable, but you never know!